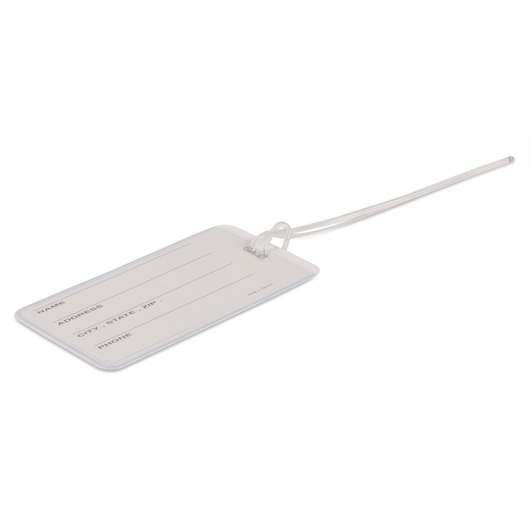 A strong plastic luggage tag that has an excellent branding space, designed to make your next holiday one to remember! Be worry free, relax and enjoy your next holiday with these easy to use luggage tags. 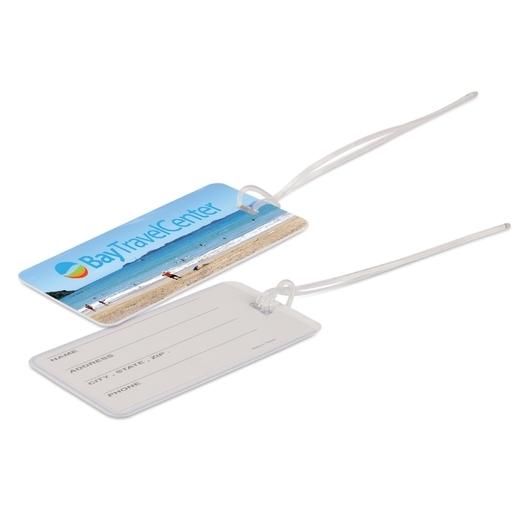 They're strong and have a slip in address card held in a pocket on the back that can be inserted in upside down to keep address details private. These tags are budget friendly, allow you to easily find your bags and in the event your luggage gets misplaced can be easily sent back to your address.